When it comes down to buying used machinery, taking as many precautions as possible is vital to protect yourself against scammers. With machinery costs sometimes rising into the hundreds of thousands of pounds, ensuring you have taken all the correct steps will prevent you from making any errors. There are many red flags to look out for so keep an eye out to minimize your chances of being scammed. Background research should be your number one priority. Company details provided such as their email address, telephone number, social media platforms and any financial statement history should all match up. Secondly, find out where they are based. Searching for their building name on Google maps and checking out their surroundings will give you a bit of reassurance. Contact companies nearby and ask them if they are a genuine business. Finally, you could test the seller on their knowledge of the machine. Ask about the specification and ask for additional pictures that they haven’t already provided. Organise a viewing with the seller if possible before purchasing. This is a great way to meet the seller or owner of the machine, as well as giving you the opportunity to make sure that the machine is genuine as described and analyse any service and maintenance history. 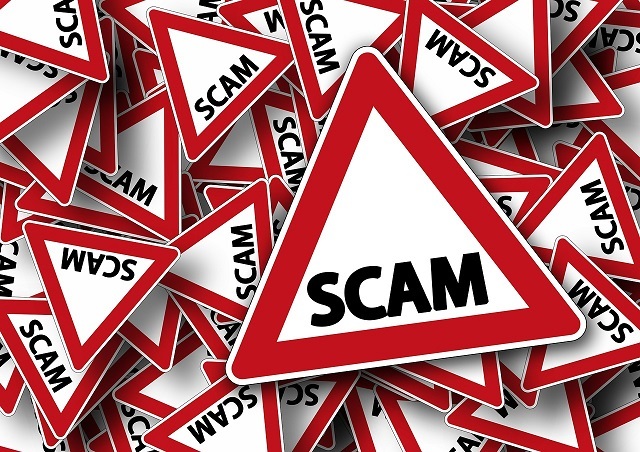 You may receive an email from potential scammers offering you machines they claim to have for sale. The machine might seem genuine from the pictures and description, but the price could make you think differently. This is something you need to question the seller on. You may receive quotes with fraudulent links that could potentially hack in your account if you’ve provided them with unnecessary information. Most of the time you can pick up on a fake email. They might use a URL shortener to hide what website they would end up at, a few errors with punctuation and grammar or the email, in general, might look suspicious. Some of the emails will seem convincing but to prevent all the hassle, make sure you check your emails thoroughly. You might view everything the seller has for sale and you notice that their grammar isn’t great. This could be an indication that it’s a scammer using an automated translator. There could also be a possibility that the seller isn’t a serious seller and quickly posted the ad. This is something to take into consideration when you enquire on a machine with someone you have never dealt with before. It’s difficult to find a trustworthy company for used machinery, but here at Omnia Machinery, we can provide good quality used construction machinery such as road planers, track excavators, mobile cranes and much more. We already have a system in place to prevent scams, which means we are able to take all the worry away from the customer by researching all the above for you, making it a stress-free process. If you have any questions, we are more than happy to help anytime, just ask. Contact us online or call us on +44 (0) 1642 332 612 for more information.